Driving jobs are on the top in UAE Jobs. A Local family in UAE is looking to hire Light Driver for Dubai. 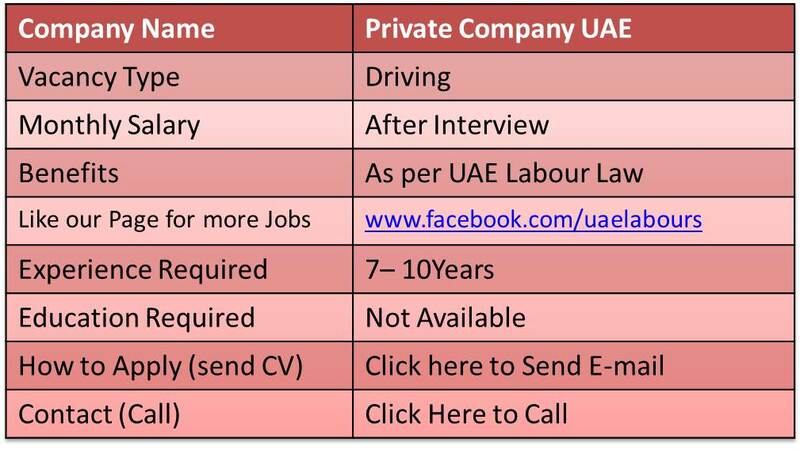 Candidate must have UAE Driving License. Candidate should have minimum 7 years of Driving Experience. Male and Female both are welcome to apply. Age should be more than 40 years. English and Arabic language speaking person will be preferred. Candidates Must have to join immediately. If you have the skills and experience which is required for Light Duty Driver position, please forward your resume to below Email Address, Shortlisted Candidates will receive confirmation email.